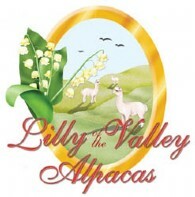 Welcome to "Lilly of the Valley Alpacas", where alpacas are our passion. We are a hands-on alpaca farm located in the sunny Central Valley town of Modesto, California. Please feel free to call and arrange a visit. We adore our alpacas and enjoy sharing them with others. We're sure that you will love them too! Centrally located in Modesto, California, we are just a 90 minute drive between San Franciso/Bay Area and Yosemite National Park.